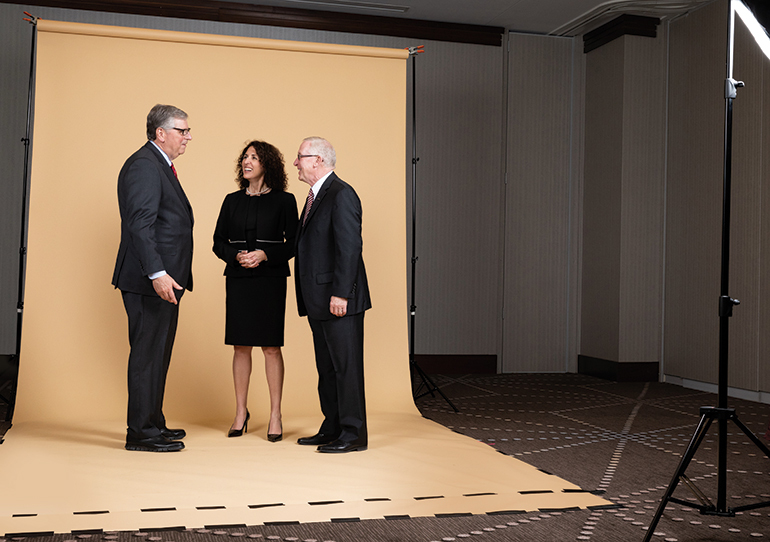 ICBA’s 2019/20 executive committee members talk about their to-do lists for the year, why they love their jobs and why they choose to spend their precious time fighting for the community banking cause. What led you to volunteer for the ICBA executive committee? Preston Kennedy: I wanted to lend my voice to the strong, clear and consistent advocacy message that ICBA provides, especially when we must press the message all alone. Noah Wilcox: Our industry is the cornerstone of our economy by helping small businesses create jobs and be successful. 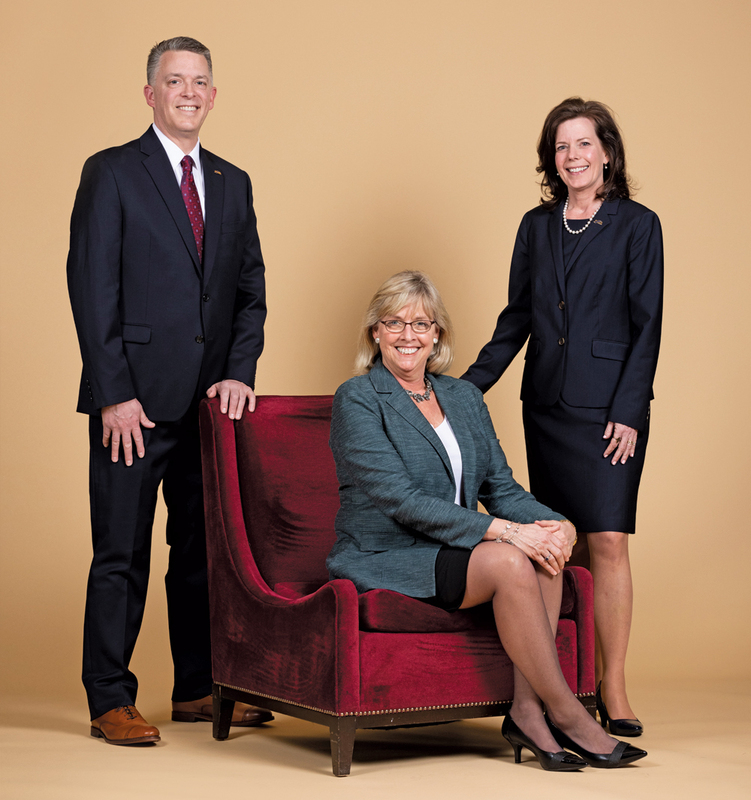 As a fourth-generation community banker, there is a sense of duty to give back to the industry that has been such an important part of my family’s story and of my life experience. Kathy Underwood: Community banks are critical to the vitality of the communities we serve. ICBA provides the support for all of us to succeed. Whether it is advocating for right-sized regulations, providing education for our employees, or providing endorsed partnerships and technology innovations, we could not afford all the benefits on our own. Robert Fisher: As a fifth-generation community banker, it is in my blood, as is my passion for advocating for our industry. ICBA is a great way for me to be involved. Alice Frazier: Throughout my career, I have witnessed the benefits a community bank brings to the markets it serves. These may include careers at the bank, financing for businesses to grow, home mortgages for families, savings accounts for children or sponsorships for local nonprofits. For those reasons, I am passionate about ensuring a fair and reasonable regulatory environment and about fostering innovation so community banks can compete and thrive. Tim Zimmerman: I was exposed to this industry when I was in public accounting and audited community banks. I became convinced it was a unique industry that was based on genuinely helping people. Scott Heitkamp: ICBA is my voice for community banking, and they work tirelessly on the issues that affect my day-in-and-day-out of running our community bank. It was easy for me to want to volunteer for an organization that wholeheartedly represents everything we stand for. There is no greater trade organization for community banks. Bill Loving: During my chairman year, I had the opportunity to travel to Japan and learn more about the various models of banking throughout the world. I returned with a totally new perspective on the value of community banking. As I stated in my chairman’s speech, the community model is a precious jewel and definitely worth fighting for. Preston L. Kennedy, ICBA chairman. President and CEO, Zachary Bancshares Inc., Zachary, La. Noah W. Wilcox, ICBA chairman-elect. 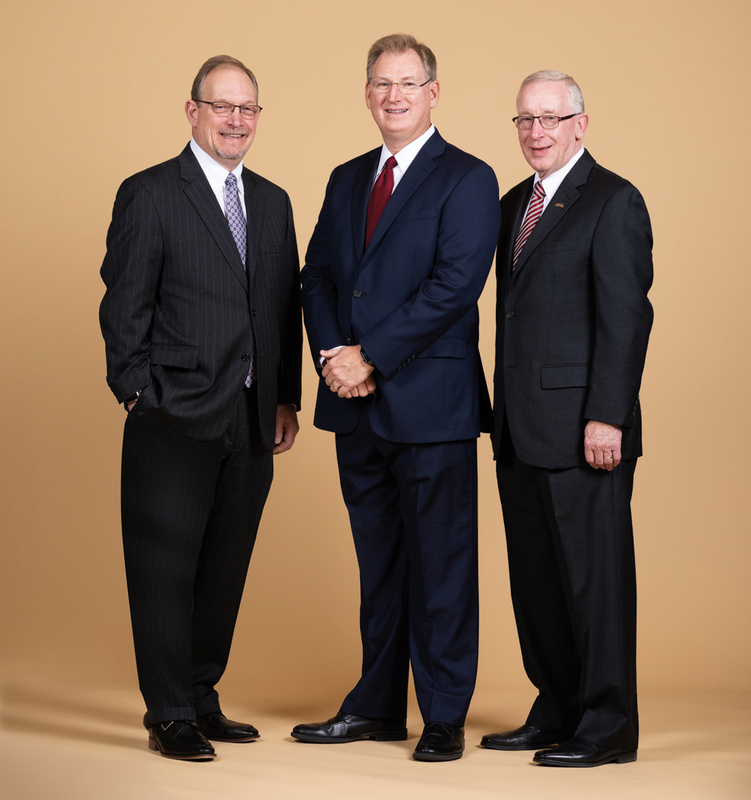 President, CEO and chairman, Grand Rapids State Bank; CEO and chairman, Minnesota Lakes Bank; and president, CEO and chairman, Wilcox Bancshares Inc., Grand Rapids, Minn.
What do you want to accomplish this year as part of the executive committee? Kennedy: Shake the hands and hear the stories of as many community bankers as possible, and encourage them to support ICBA’s mission of creating and promoting an environment where community banks flourish. Wilcox: I want to help mentor and foster the same kind of passion I have for community banking in others. I want to create more active engagement and involvement. And, I want to continue my own strong advocacy for a pro-community bank, regulatory relief agenda. I want to help mentor and foster the same kind of passion I have for community banking in others. Fisher: This year, I would like to continue our success on the legislative front in differentiating community banks from other types of banks and financial institutions. The Dodd-Frank Act was an overreaction to the financial crisis, and we now need to push for continued regulatory relief for community banks. Personally, I would also like to help bring more focus to financial literacy. Astoundingly, 21 percent of Americans reported they had more credit card debt than savings. I would love to see increased financial literacy in our high schools with a curriculum focus on such. Frazier: I will advocate loudly for our industry and continue to emphasize to all those who will listen (and even those who won’t) the importance of community banks to our economy. I also hope to encourage young bankers to become more involved with ICBA. I’m so grateful for—and consistently amazed by—the passion, dedication and commitment that ICBA’s executive committee members bring to our industry. 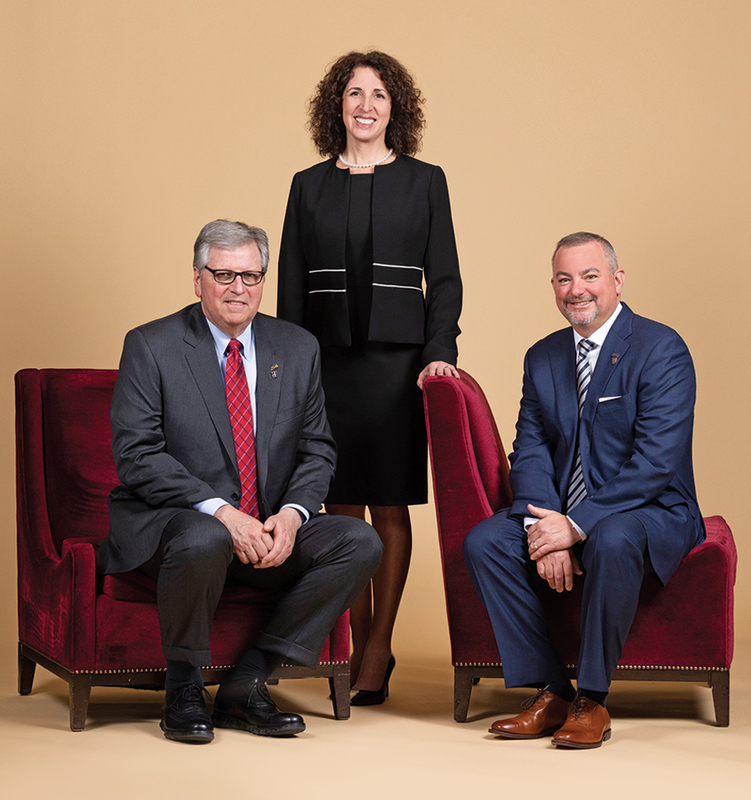 Their diverse ideas and perspectives set us apart and help guide ICBA in our mission to create and promote an environment where community banks flourish. Zimmerman: I want to stay engaged and support Rebeca, the great ICBA staff, Pres Kennedy as he takes over as chairman and my fellow bankers on the executive committee, and do whatever I can to move our objectives forward. My passion for our industry is as strong as ever. Loving: This year, the fight for our industry continues, and I look forward to working with ICBA and community bankers all across this nation protecting this jewel. What are the most pressing issues for community banks right now? Kennedy: We need to preserve an open and fair payments system. Ensure housing finance reform does not disadvantage community banks. Embrace financial technology. Wilcox: All community banks will continue to grapple with continuing consolidation. Getting regulatory relief measures in place as Congress intended is a pressing issue, as is getting additional relief measures passed. Managing cost of funds and net interest margin will continue to be a point of focus going forward. Underwood: We need to be able to meet client demands through technological innovation to remain competitive. We also need to continue advocating for right‑sized regulation. We need to be able to meet client demands through technological innovation to remain competitive. Fisher: Although fintech companies are sometimes seen as opponents or even threats, community bankers instead need to view them as partners and find ways to work together to create solutions for our clients. It appears that GSE reform may happen in the near future. Any GSE reform effort must provide equitable secondary market access for lenders of all sizes, and retention of mortgage servicing rights on transferred loans. Finally, we need to ensure the banking system and Federal Reserve retain control of the payment system, which is the basis of our franchise values. Frazier: The regulatory environment, nuances of regulation and the application of such will challenge the industry. Low unemployment creates additional challenges in recruitment and retention of quality talent, affecting customer service, a community bank’s distinct advantage. Zimmerman: That’s a tough question; there are several big issues and a multitude of others. The regulatory burden is clearly one of them, from call report changes to regulatory capital simplification. Add to that the threats to our franchise from unfettered credit union expansion and possible watered-down charters for nonbanks. Finally, GSE reform is something we have to be part of to ensure community banks continue to have equal and easy access to the secondary mortgage market. Heitkamp: As I mentioned before, using technology to enhance the customer experience will be hugely important. Loving: We have won many battles in regard to regulatory relief. However, the war still rages. This negative impact, along with increased competition from nontraditional institutions and credit union expansion, will continue to put pressure on our industry. Bill Loving, Chairman of ICBA Consolidated Holdings. President and CEO, Pendleton Community Bank, Harrisonburg, Va.
Timothy K. Zimmerman, ICBA immediate past chairman. CEO, Standard Bank, Monroeville, Pa.
How did you get involved with ICBA? Kennedy: My first involvement with ICBA was with its affiliate, ICBA Securities. I needed to learn how to manage an investment portfolio, and fast! I didn’t know much about ICBA, but I knew that community bankers were involved in oversight of ICBA Securities and, given my inexperience, that gave me a considerable amount of comfort. It was one of the best decisions of my career. Wilcox: I believe the year was 2007. Marshall Mackay had been elected as a state director in Minnesota to ICBA’s board. Partway into his term, he stepped down after accepting an offer to run our state association, ICBM. ICBA had a special election, I showed interest in the opportunity to give back, was nominated by several banks and have been involved in many ways ever since. What a journey! Underwood: I started going to ICBA conventions shortly after joining my community bank. I quickly realized ICBA was an organization that I wanted to get more involved in. I knew the ICBA mission of creating an environment where community banks flourish was important to helping my bank succeed. I was thrilled to receive a call from the retiring Vermont state delegate suggesting I serve as state delegate, my first position in the ICBA organization. Fisher: I became involved in ICBA when I was going through the chairs of IBANYS, our state association. I knew some other bankers from New York who were heavily involved in ICBA, Sal Marranca and John Buhrmaster, and followed their lead. I’ve been involved on numerous committees, including Lending, Policy Development and ICBPAC. ICBA is a great association with great people. Again, getting involved can have a dramatic impact on our business. Many bankers spent a good deal of time and effort pushing for regulatory reform. After many years of work, S.2155 was passed with bipartisan support. Frazier: I first became involved at the state level and then was appointed to ICBA’s Congressional Affairs Committee. I so appreciate Pierce Stone, Sal Marranca and Bill Loving’s welcoming approach to my first committee meetings. It was their good mentoring that encouraged my involvement in both the state and ICBA associations. Zimmerman: I got involved because John McNair, the calling officer for Pennsylvania at the time, convinced me that ICBA was the best trade association for community banks, and that I should be part of that. Heitkamp: I got involved through our state association, Independent Bankers Association of Texas. State associations are so important to ICBA and are the grassroots efforts for advocating and promoting our industry. Loving: I had been engaged at the state level. However, in 2005 I reached out to ICBA to discuss the impact that Sarbanes-Oxley would have on our $100 million-asset institution that was also a public company. I offered to help in any way possible, which led to an opportunity to testify before the Small Business Advisory Committee of the SEC. I knew at that point I wanted to be more engaged and active in advocating for our industry. What made you realize community banking was the job for you? Kennedy: The community bank where I got my start was in danger of failing, so I was quickly engaged in an exhilarating, all-hands-on-deck effort to breathe life back into the bank. The better we helped others, the more we helped ourselves. I was hooked. Wilcox: I owned a consulting company and took on a short-term consulting job with the family bank in the late ’90s. After just a few days, I realized how important a community bank is to the community it is in; I saw how symbiotic the relationship was. I just fell in love with the whole business model, and how connected and a part of the community fabric a community bank is. I never left. Underwood: Most of my career was spent working for a large regional bank. I realized that shareholder-driven decisions made from afar did not often support our local employees, clients and communities. I wanted to work for an organization that put employees first, as I believe this creates an environment where motivated, happy employees deliver excellent client service, resulting in successful organizations and communities. Fisher: If you asked me back in high school or even college, I would have insisted there was no way I was going back to Spencer, N.Y., to work at the family bank. At that time, I was going to be a pilot and travel the world. I did attend college on an Air Force ROTC scholarship, although my dream of being a pilot did not materialize. After a short stint in the United States Air Force, my wife and I decided that upstate New York would be a pretty good place to raise a family. I came back and started as an assistant office manager at the bank. I quickly realized the benefits to living in rural America and the powerful impact I could have on my community. It is always a good feeling to be able to drive around and actually see the good that a community bank can do for its community. I really connected with community banking when I became a commercial lender. I found it so rewarding to partner with local businesses to help them succeed. I continue to be amazed at the niche businesses our customers have developed. It is a profession that is trustworthy, honest and genuinely helps both customers and communities. Frazier: A board member of the first bank I joined shared with me the following: “Every town needs a good school, a good library and a good bank.” As the largest shareholder, I’m sure she meant that we were to be the “good bank.” In an effort to ensure our bank was that good bank, I fell in love with the many ways we can help people achieve their dreams and positively impact our communities. Zimmerman: When I was an auditor, I was attracted by watching community bankers with their customers. It is a profession that is trustworthy, honest and genuinely helps both customers and communities. That is unique in the business world. It is something all community bankers should be proud to be part of. Heitkamp: I realized early on that community banking was going to be my journey. You hear all the time that community banking isn’t a job; it’s a calling. I was “called” to this industry at an early age, and it was because I saw firsthand people helping people. I get to hear great stories of how we helped someone’s parent who had a vision, but just needed someone to believe in and invest in their vision. We get to do that every day, and I can’t think of anything more rewarding than to help someone achieve their dream. Loving: I realized it was what I wanted to do early on in my first job. Giving back to the community and helping our customers struck a chord with me. I have worked at various institutions in my career, but it wasn’t until I almost went to work for a large institution that I realized the real difference in the models and approach to banking. Truly, community banking was the winner and the way I wanted to go. Robert M. Fisher, ICBA vice chairman. Chairman, president and CEO, Tioga State Bank, Spencer, N.Y.
Kathryn G. Underwood, ICBA treasurer. President and CEO, Ledyard National Bank, Hanover, N.H.
Alice P. Frazier, ICBA secretary. President and CEO, Bank of Charles Town, Charles Town, W.Va.
Who is or was your professional mentor? Kennedy: My late father-in-law, J. J. Johnson, leveraged virtually all his assets to acquire a failing community bank. He taught me the value of a person’s character, and the importance of building and maintaining relationships. Also, former ICBA chairman Rusty Cloutier inspired me, by word and deed, to be an industry advocate, and former ICBA president and CEO Cam Fine showed me that advocating for something one believes in passionately can be bare-knuckles combat, not for the faint of heart. Wilcox: I have and have had many mentors over the years. But two of the most prominent in my life have been my grandfather, who I worked alongside for nearly 20 years prior to his death in 2014, and my father, with whom I worked for years until his retirement in 2014. My father and I still discuss the business regularly. Underwood: I had so many mentors throughout my career and owe so much to all of them. Betsey Timm and Dennis Logue, to name just two. Most impactful was my dad, Robert Grant, a banker himself. When I had doubts about moving to a new position, Dad was always there to convince me that I was ready to take the leap. Fisher: I have many friends and other bankers who I consider to be mentors, including two of the names here0. But that being said, I have to say that my father has always been my biggest mentor. He has always given me enough room to make mistakes, but then we discuss what I could do differently. In 2003, when I took over running the bank, he gave me the freedom to go in the direction I saw as a fit for the bank. He really built the foundation for the bank to be able to grow and become the successful organization that we are today. I wanted to lend my voice to the strong, clear and consistent advocacy message that ICBA provides. Frazier: I’ve been fortunate to learn how to be a community banker and the power of relationships from Joe Boling, and I was taught the power of communicating from the heart by Dontá Wilson and the business of business by Bernard Clineburg. All three were or are very successful bankers, and I am thankful to have worked for them. Zimmerman: My professional mentor was Ernie Rua, a partner with KPMG Peat Marwick. He was the managing partner of the Pittsburgh office when I started my public accounting career. He was very professional, intelligent and, most of all, down to earth and fair. I admired him for having both feet on the ground and taking a practical approach to a problem rather than a theoretical one. He related well to the partners and the lowest-level staff. Heitkamp: I have had many mentors along the way, but one individual stands out above them all, and that’s my dad, Harlan Heitkamp. His integrity and optimistic nature continue to guide me and inspire me. Loving: My first banking job gave me the opportunity to learn many aspects of banking. The president and CEO, Al Dye, had a unique way of mentoring without you realizing you were being mentored. I thought I was learning banking. Actually, I was learning to be a community banker. Molly Bennett is executive editor of Independent Banker.